Officers of the National Drug Law Enforcement Agency (NDLEA) detected parcels of cocaine hidden inside the sole of shoes at the Murtala Muhammed International Airport (MMIA) Lagos. The consignment of shoes where the cocaine was discovered was said to have originated from Sao Paulo, Brazil. The owner of the luggage have been arrested while two other suspected drug traffickers that tested positive and excreted narcotic are also being investigated. A white powdery substance found to be cocaine with a total weight of 3.950kgs were seized from the suspects. “Three suspects have been arrested with a total of 3.950kgs of cocaine. 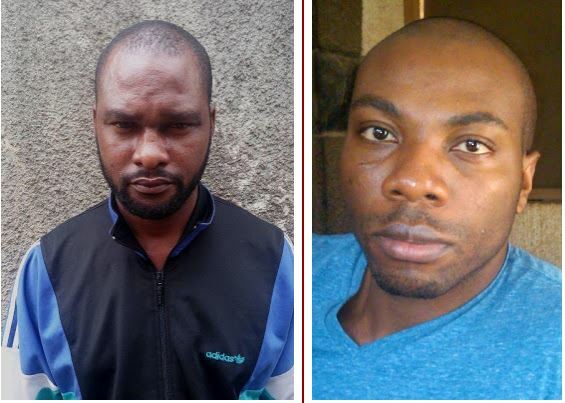 They are Mbatugosi Paul Ifechukwu, 32 year old caught with 1.950kgs of cocaine hidden inside shoe soles, Adugba Ugochukwu Godson, 34 year old who ingested 1.50kgs of cocaine on his way to Sydney, Australia and Onuoha FridayDominic, 42 year old found to have ingested 850 grammes of cocaine from Brazil. The cases are under investigation and will be charged to court soon”. Mbatugosi Paul Ifechukwu who used to sell shoes at Enugu said that he was introduced into drug trafficking by a friend he met in Brazil. “After my graduation from Technical College in my home town Ihiala, Anambra State in 2002; I went to Enugu where I was selling shoes. In 2015, I travelled to Brazil in search of better opportunities. However, while in Brazil, I worked as a barber to earn a living. After a year and three months in Brazil, I was disappointed because I had no savings, so I decided that I will get some money and be exporting shoes to Nigeria. It was in the process of looking for a start-up capital that a friend introduced me into drug trafficking. My friend bought the shoes and prepared the drugs inside 13 pairs. This is my first time and I was caught” Mbatugosi stated. The second suspect, Adugba Ugochukwu Godson who ingested 1.150kgs of cocaine said that he wanted to visit his wife in Sydney, Australia when he was caught. “I was travelling to visit my wife who lives in Australia when a friend introduced me to drug trafficking. Initially, I told turned down the idea because I never wanted anything that will tarnish my reputation. He later convinced me that I will never be caught and also promised me the sum of fifteen thousand dollars ($15,000). This was how I fell for him and found myself in this mess” Adugba who hails from Abia State stated. Onuoha Friday Dominic was found to have ingested 850 grammes of cocaine equally blamed his involvement on friends. He travelled to Brazil in search of job opportunities but was unable to get job satisfaction. “I was not satisfied working as an event planner in Brazil because the salary was just for subsistence living. After paying my bills, there was little or nothing left. That was how I was introduced into drug trafficking. My friend said that the only way to make quick money is through drug trafficking. He promised to pay me $15,000 and I agreed to swallow the drugs” Onuoha stated. He hails from Abia State. In his reaction, the Chairman/Chief Executive of the NDLEA, Col. Muhammad Mustapha Abdallah (retd.) expressed satisfaction with the arrests. “Every arrest and seizure of drugs is a victory over drug syndicates. The NDLEA will continue to consolidate on the operational successes so far recorded by maintaining vigilance at all entry and exit points. This will be complimented with public awareness programmes on illegal drug production, trafficking and use aimed at reducing demand for drugs” Abdallah stated.